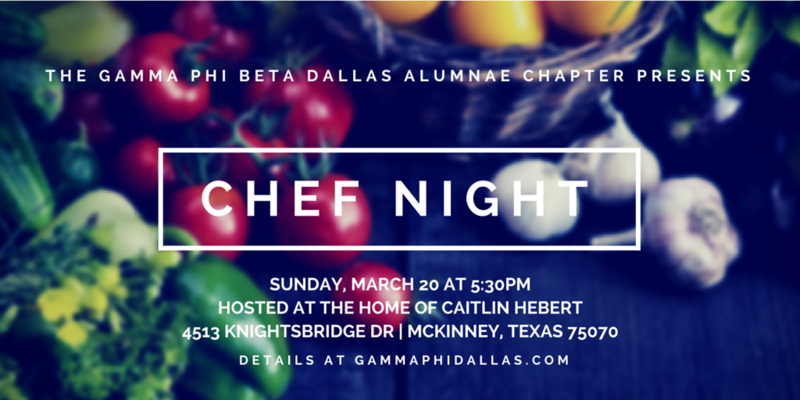 Please join us for Chef Night on Sunday, March 20, 5:30 PM at the home of Caitlin Hebert. We welcome all sisters to join us as we learn to cook a delicious meal with Chef Carol Kelly. The cost is $15 for members and $25 for non-members (plus $1 processing fee). Drinks are BYOB. For this event, attendees must pay online before arriving, so please make sure you make payment below on our website by Thursday, March 17th. RSVP: Please RSVP & make your payment below by Thursday, March 17th. Please RSVP and make payment below by Thursday, March 17th. Make your payment for Chef Night!